If you look at the map of Europe, Luxembourg is hardly noticeable. Roughly forty percent of this half a million nation are immigrants. 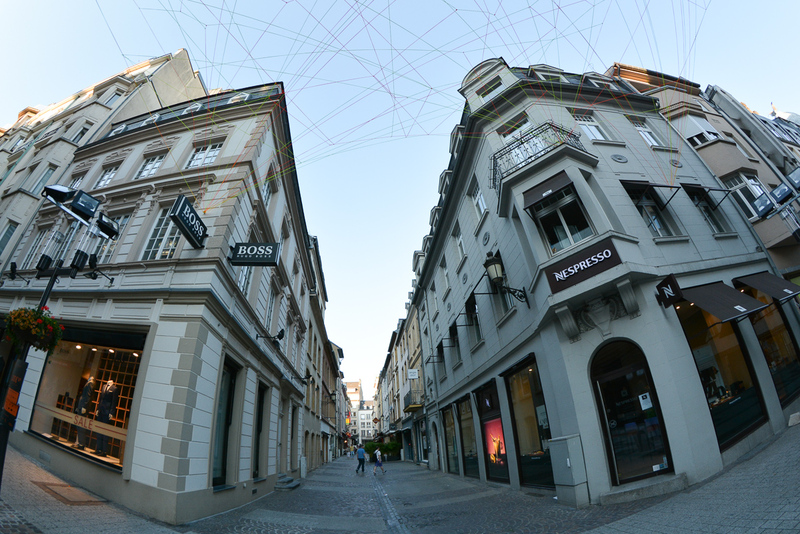 It seems that Luxembourg is commonly associated with tax evasion, countless financial institutions and so-called headquarters of global corporations. In this tiny country there are registered nearly 150 different banks that hold 750 billion euros worth of assets and about 300 billion euros in cash deposits. There are different views on the subject of creating a tax-evasion-friendly environment, but the truth is that small states face limited capabilities of infrastructural development. The solution is to create robust service sector and attract foreign investors. Some time ago I picked up a brochure titled: “Hikes in Luxembourg”. At first, I was a bit surprised and it made me smile. 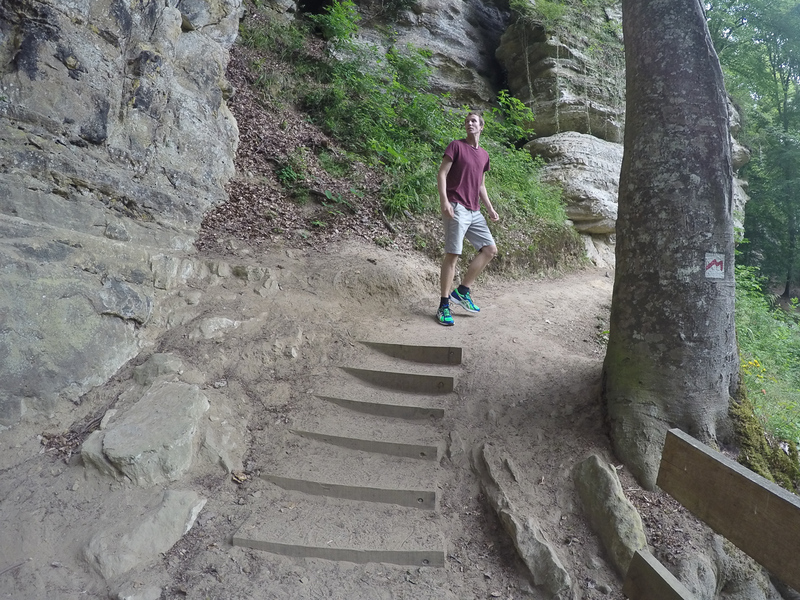 I noted to check up in the future if Luxembourg is worth visiting for nature enthusiasts. Quite coincidentally it took me less than a year to come here my friend Chris. This time instead of meeting in Bolivia or Myanmar, we have decided to make a small trip on a third continent – Europe. Just within first few hours here, we realize that Luxembourg is filled small charming towns surrounded by forest trails from where you can easily access quite remote places. 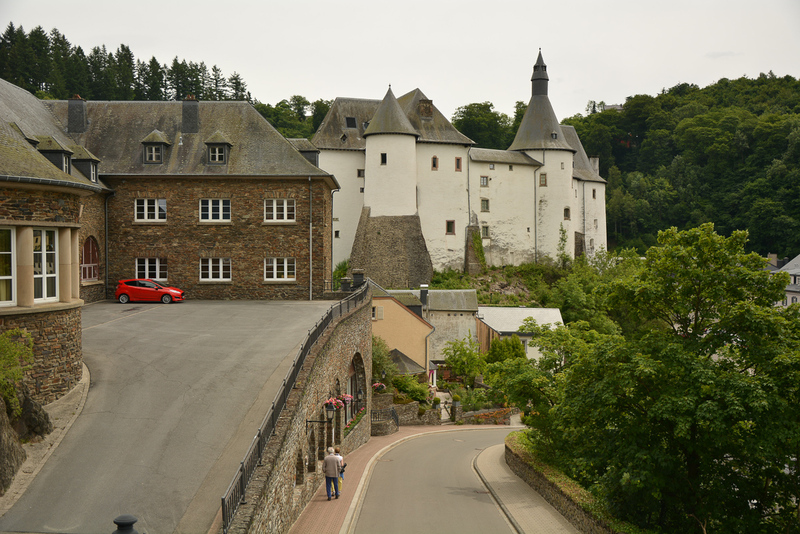 One such towns is Clervaux. It is surrounded by river Clerve from three sides. Top sites are historic castle and church, both gracefully rising above stone buildings of the town and proudly giving it its character. At this stage of the journey, we would not yet fully solve the question what language do Luxembourgers speak. It’s a small country, but despite the size, it has several dialects. 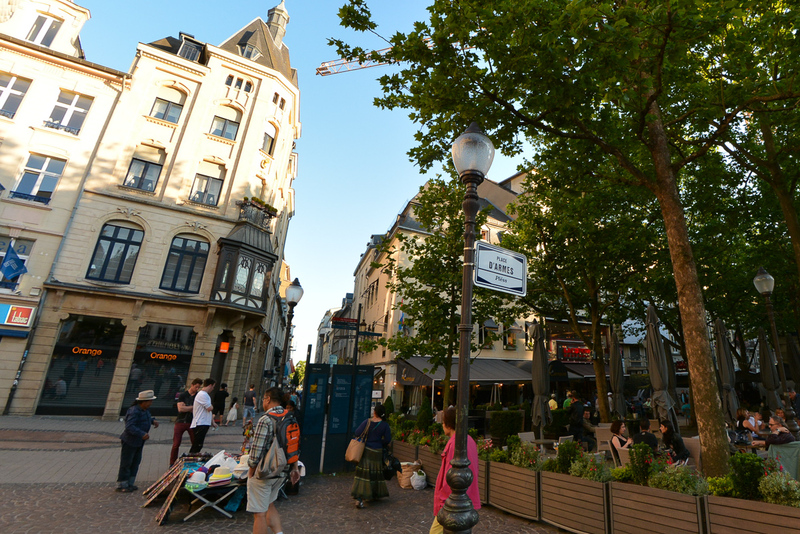 It seems unclear whether it sounds like French or German or something else, but to simplify matters, since 1984 the creative inhabitants have called this language Luxembourgish, in other words “Lëtzebuergesch” in Luxembourgish. 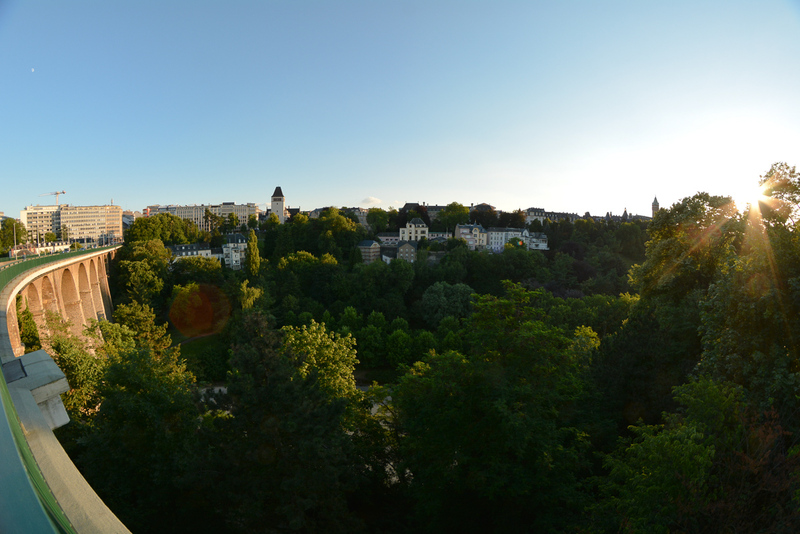 Naturally, we also found some time to visit the capital, namely Luxembourg City. It turns out that my old friend from childhood Amalia lives here. This is what I call the right timing. 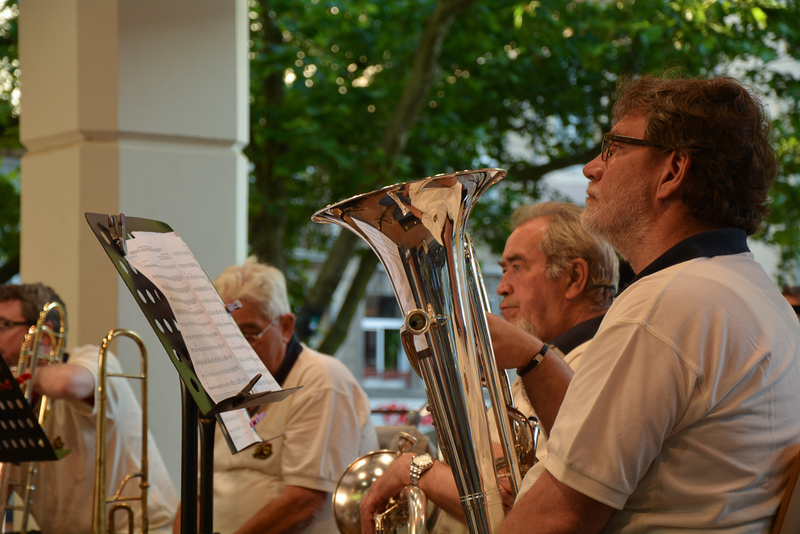 As we arrived in the evening, we got to the electronic music party in Philharmonie in the chic district of Kirchberg. 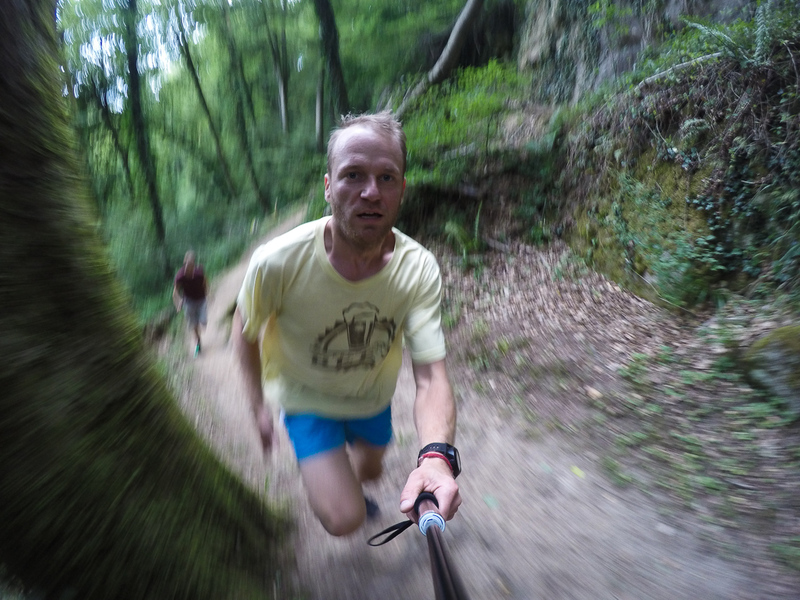 In a continuing preparations for several mountain trail runs, every day I try to find an interesting place to run. 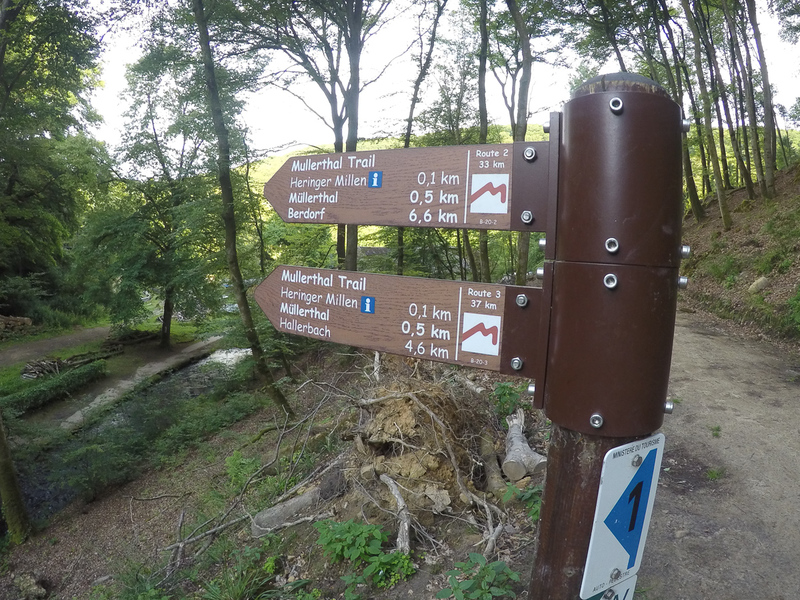 My top pick is the Mullerthal valley offering plenty scenic trails that will take you along the river, over the hills and between the rocks. To finish off another memorable day I suggest a bottle of local beer Diekirch. All you have to do is enjoy it and wait until the middle of hot summer night till magical fireflies appear in the darkness through which you will hear only ambient sounds. It is hard to believe that we are in Luxembourg!